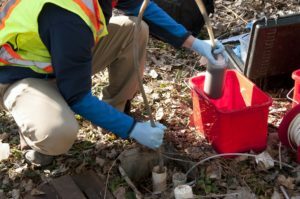 What Is a Groundwater Sampling Technician? Groundwater Sampling Technicians take samples of groundwater - rivers, lakes and water tables to measure their properties. What Does a Groundwater Sampling Technician Do? Much of the conclusions of environmental science is made up of the results of sampling. Experts take air, water and other environmental samples to build an understanding of the ecology. 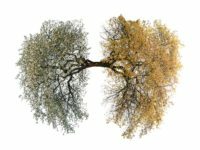 These can be used for a variety of purposes that include pollution monitoring, the ecological profile, wildlife (including microbial life) and much more. Groundwater Sampling Technicians specifically examine bodies of standing water for much the same information. They work alongside environmental technicians such as hydrologists, biotechnologists and others to examine problems with bodies of groundwater. Their role is not just in environmental monitoring though. Historic data such as paleoenvironmental readings, archaeology (including anthropology) and paleontology are other areas where there skills are required and utilized. The information they collect can tell us a great deal about the environment in the past. They may look for pollen and spore samples and microfossils in groundwater and silt. They will be looking for slightly different attributes than those looking for modern data, and use it differently, but their methods and intended outcomes are the same - to build an environmental picture. Where Does a Groundwater Sampling Technician Work? Where a Groundwater Sampling Technician will work depends on the career path they choose to pursue. 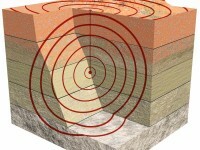 Essentially, they will either work in the field collecting samples or in labs and offices analyzing the data. Their job is essentially the same no matter where they work, but they have a wide range of options available. The first major employer (26%) of Groundwater Sampling Technicians is scientific and technical consulting as independent bodies. They may be called upon on a contract basis to monitor pollution levels for government agencies, for businesses, for research projects or for developers. A wide range of organizations use this information in decision making. The next largest employer is government bodies (25%) mandated with environmental protection responsibilities. Typically, this will include the EPA and state regulators and environmental remediators amongst others. They may also work for National Parks and State Parks, and designated forests ensuring that users, residents and organizations nearby comply with their environmental responsibilities. Around 13% work in labs. They will generally not work in the field collecting samples, but will examine the water samples collected by others. A small percentage, around 6%, work for engineering services including government, and for building and development such as construction and civic works. Environmental protection laws require that modern developments adhere to certain standards. What Is the Average Groundwater Sampling Technician Salary? At 2015, the median average salary for all environmental sampling technicians was $43,030. There is no specific data for Groundwater Sampling Technicians, but as these roles are similar, we can expect relative parity. The highest paying sector is local government at $45,720. Lab workers earned lower than average with a median of $37,010. State government, management scientific and consulting paid around the median average within a few hundred dollars per year. Use the search box below to find all the groundwater sampling technician job listings in our job board. What Is the Job Demand for Groundwater Sampling Technician? As our commitment to cleaner air and water increases in line with international agreement, BLS suggests a 9% growth in demand for all sampling technicians between 2014 and 2024. This is faster than the sum total of all jobs across the country. As the western world moves to fracking, concerns about the environmental impact potentially means that demand could be even higher than 9% in those areas where new fracking and other mining operations expect to take place. Environmental protection is very much a modern issue as people become more mindful of the problems of the different types of pollution. What Are the Education Requirements to Become a Groundwater Sampling Technician? At the minimum, candidates are expected to have a bachelor's degree in an environmental related science. Botany, biology, microbiology, ecology or conservation are fairly standard choices. Many of these are suitable degree types. Minors and electives in math, physics and chemistry will be beneficial, as will statistics. This will depend on to what extent the candidate will expect to work with quantitative data. Extensive fieldwork should be a part of a degree, whether in a lab or collecting samples. A master's degree will put students in much better standing as these involve far greater detail, individual project work and independent learning. Students will be expected to conduct their own analyses and write their own reports. The MA/MS dissertation will be closer to the work that you will carry out professionally than anything at undergraduate level. Therefore, a MA/MS is highly recommended, but not vital, especially if the student has relevant ecology and math background at BA/BS. Doctorates are suitable for those wishing to teach and research in university departments. They may also be suitable for those who feel a career in government consultancy and decision making is more in line with their career preferences. What Kind Of Societies and Professional Organizations Do Groundwater Sampling Technicians Have? 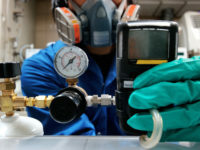 What Is an Instrumentation Calibration Technician? 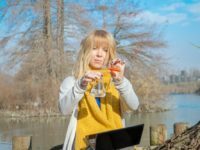 What is an Environmental Writer?